Click here to visit the play in-process link-up! 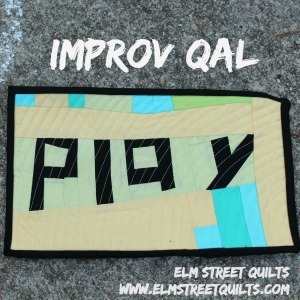 For overall information on play, the improv QAL, please see the QAL kickoff as well the main event page. This is your project, your creativity. 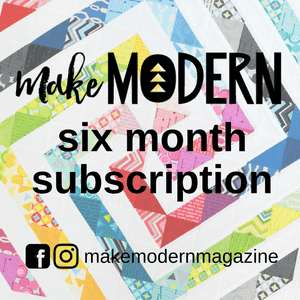 There will be weekly prompts each Monday, through April 3. The prompts so far have been wonky log cabin , the half triangle block. stack, cut & sew, wonky geese & wonky stars. 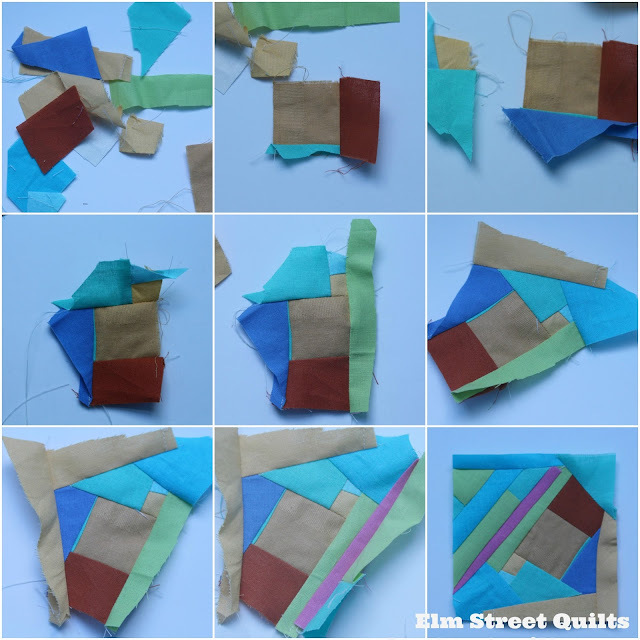 As you've been working on your improv blocks so far, you've likely generated really small, odd shape bits of fabric scraps. This week's prompt makes good use of those castaways. If you can't find any on your work space, take a look in the trash can or on the floor. That is where I collected the crumbs for my mini. 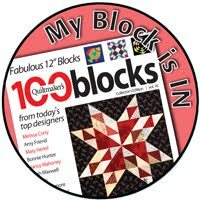 Produce a mini or create blocks to be assembled together with other blocks from the QAL. Remember, this prompt is just the start of this week's assignment. Embrace it or ignore it. My mini is 4 1/2 x 5 ''. I used four (4) colors of Aurifil thread for my quilting. I auditioned the final mini on several different colors before deciding to set it 'on point.' The back is another improv mini block. This might just be my favorite mini that I created in support of the prompts. (But I bet I've said that before!) 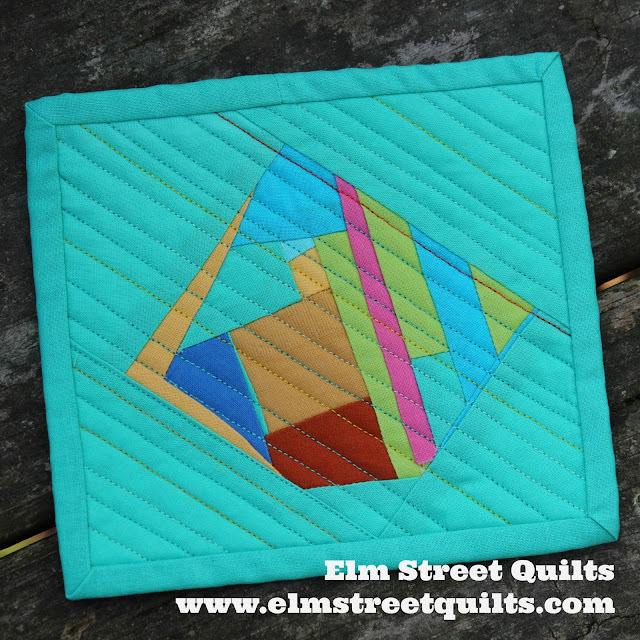 I used at least 4 different colors of Aurifil thread to quilt this. Sew with a really tiny stitch length. Mine was set to 1.2. If you mess up, throw it out or cut it out. Don't waste time on unpicking a seam. The smallest strips which end up as only a sliver can add the most interest. Remember - anything goes here. It is your project, your creativity coming through. Don't be afraid to experiment. This might feel uncomfortable but don't give up - keep working through to the end product. Use #playimprovqal to earn entries towards one of the QAL prizes. See main event page and the kickoff post for more information. Next prompt Monday, March 27. (One more prompt follows on April 3.) Here's a sneak peak. 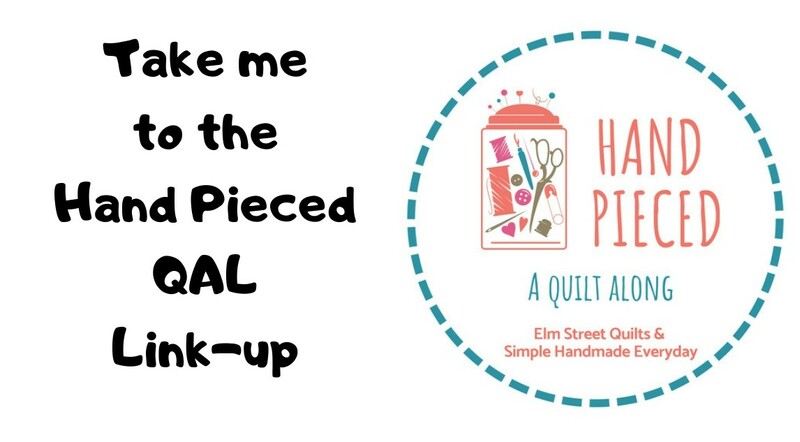 My mini quilt top will be linked up with Main Crush Monday's, Freemotion by the River, WIP Wednesday's, Let's Bee Social, Midweek Makers. Fabric Frenzy Friday, Finish it Up Friday and Finished or Not Friday. My improv quilt top is finish #13 for 2017 - most are minis. How Cute, I like that you picked up the scraps from the floor. Makes me laugh. Great job. Looking forward to yet another improv later this evening from my scrap basket! That looks like a lot of seams...good job keeping it flat!! 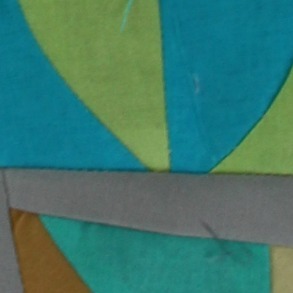 I like the concentrated mix of colors in the center surrounded by a single color. An elegant little mini. Those colors are gorgeous together! And I do love improv and a beautiful mini min! !